#3 What is the Cites Certificate? Let’s explain it in plain and simple terms. Today we want to tackle a very important topic not only for us who speak from years of experience, but for anyone who decides for the first time to get in touch with the exotic leather trade sector: the CITES certificate. Before introducing the subject, we want to let you know that in this article we will not use specific terms that are difficult to understand; anyone wishing to explore the topic in more detail, in fact, can simply resort to a search on Google (or visit our website). However, a Google search is not always able to explain comprehensively to the buyer or to anyone interested in the subject, what this Cites certificate really consists of, why it is so important and to whom it is addressed. In this article, we want to tell you with simple words and different eyes “the meaning and purpose” of this document. 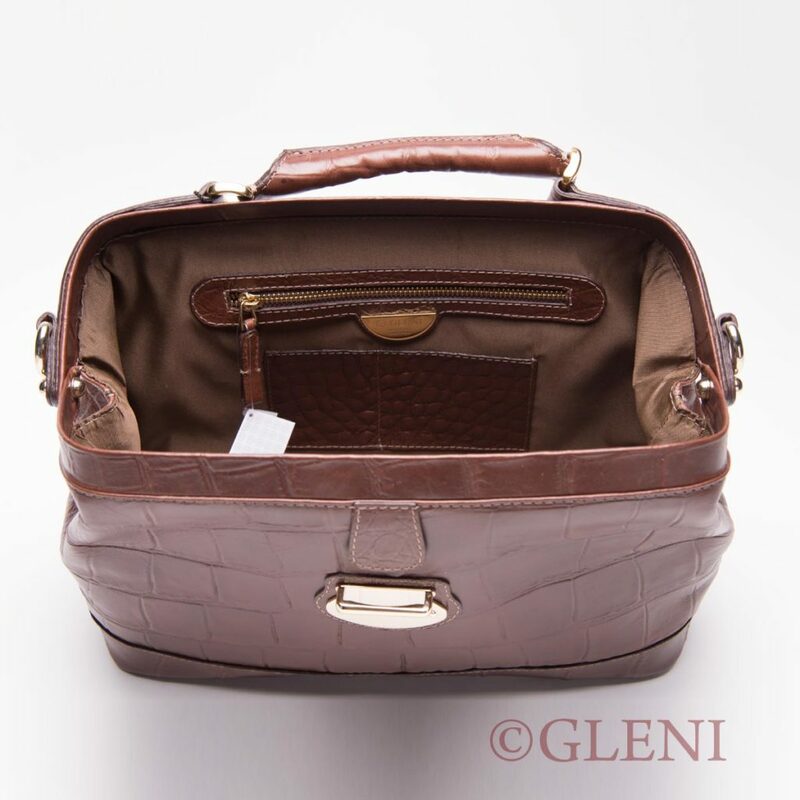 This entry was posted in 10 things you should know before purchasing an exotic leather handbag, CITES, Leather and tagged CITES certificate on 06/06/2018 by Gleni. Everyone is talking about exotic leather: from the web, to newspapers and fashion documentaries, there is a copious amount of information available that, if read more carefully, seem to always be the same, enough to make us think that there is not real information after all. About the subject there are, in fact, many theories, very many hypothesis and as many prejudices that make practically impossible to distinguish between real and fake, reality and phantasy. This entry was posted in 10 things you should know before purchasing an exotic leather handbag and tagged exotic skin products on 03/15/2018 by Gleni. An item in exotic leather might not seem in vogue right now, considering the times we are in, but let’s be honest, this product doesn’t need fashion and trends to be in the spotlight. 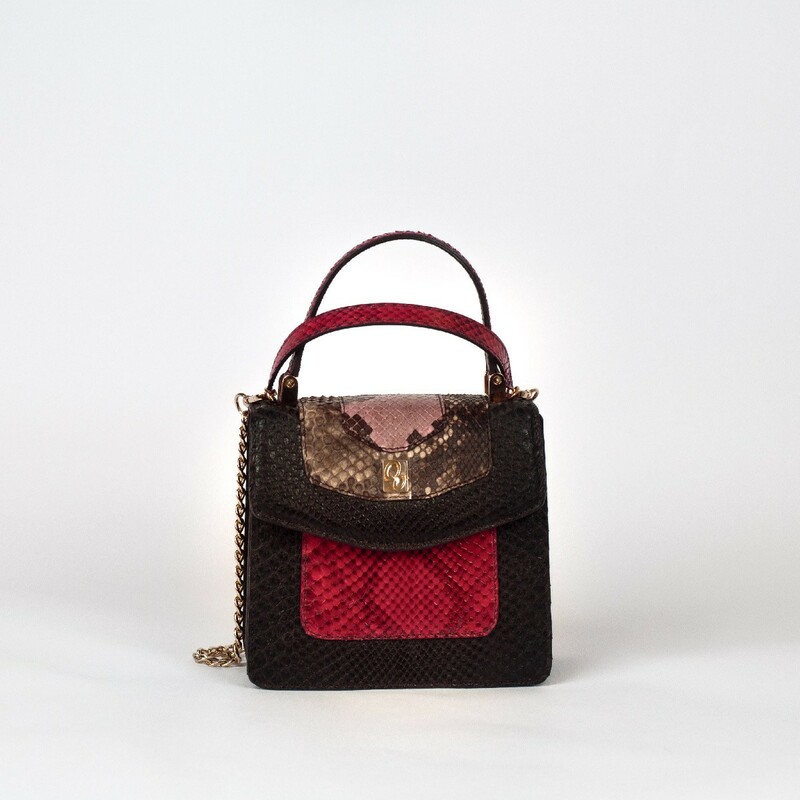 Bags, clutches, briefcases, small accessories: there are so many options to choose from since exotic leather, without any doubt, can turn every item into precious and special masterpieces. Sure, it might seem like a waste of money, but you will soon realize that it is indeed a great investment. Let’s find out together why. This entry was posted in 10 things you should know before purchasing an exotic leather handbag on 02/13/2018 by Gleni. Front Cut or Back Cut? 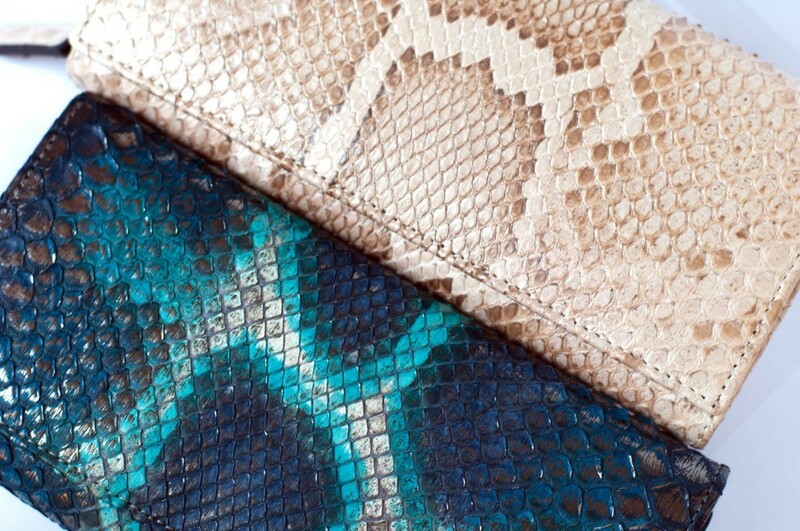 The different cuts of python leather. Have you ever noticed how the cuts of the leather chosen can affect the appearance of a bag? 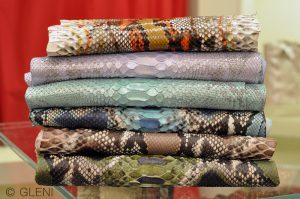 As we mentioned in our previous article, ““The thousands shades and variants of python leather”, snakeskin (in particular python leather) is way richer and more variegated than other kinds of leather, so it can offer an incredible variety of shades. If you need to choose the handbag of your dreams, you might want to pay attention to the variants of leather available, right? This entry was posted in Python skin and tagged python skin on 02/03/2018 by Gleni. Offenses and threats to those who sell exotic leather goods: how to respond? Increasingly more often, a number of organizations concerned with animal welfare and protection express their arguments and points of view in provocative and denigrating ways against those who trade in all types of animal products. These publications are often accompanied by bloody and graphic images, aimed to provoke immediate shock in even the most indifferent readers, who feel they must, immediately and concretely, manifest their dissent. To whom? Naturally, any company selling that particular product. Such a company, which could be yours, is suddenly overwhelmed by a storm of negative comments, abuses and threats. At this point, since we are all human, it is easy for an employee or supporter, likely being faced with an emotional limit, to lose ability to sustain a discussion. How do we respond to this? This entry was posted in Crocodile & Alligator on 06/27/2017 by Gleni. Quality, creativity, originality, class and style! These are some of the attributes which by now are associated with the legendary “Made in Italy”. They are characteristics of a product which cares about the honor, as well as legal right, to express this coveted mark well known by all, whether in Italy or around the world. 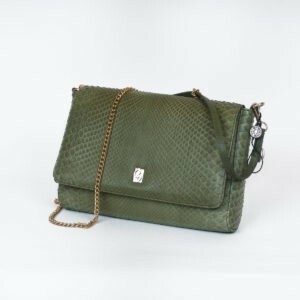 The artisan bag made in Italy is no exception, rather it is one of the articles most representative of the unparalleled fashion designed and produced in the boot. This entry was posted in Fashion Trends on 04/06/2017 by Gleni. Crocodile or not? How to ascertain the value of your vintage bag. Among the questions we most receive from our clients is a request to assess the bag in their possession, simply by sending us a photo of it. Was it made with genuine exotic animal skin? Or to what particular species does it belong? How much might it be worth? Does it still have value? Perhaps it is a bag that was inherited from their grandmother or an article purchased while visiting an exotic country. Or simply a bag bought at the mall or on E-bay and Amazon. Although we seek to respond to everyone, providing some direction, you must understand that the question is not as simple as it seems, and it is not always possible to respond to you correctly. This depends on many factors. Here we can list a few to help you understand how a simple question can become a complicated one – especially if the quality of the photo is limited. 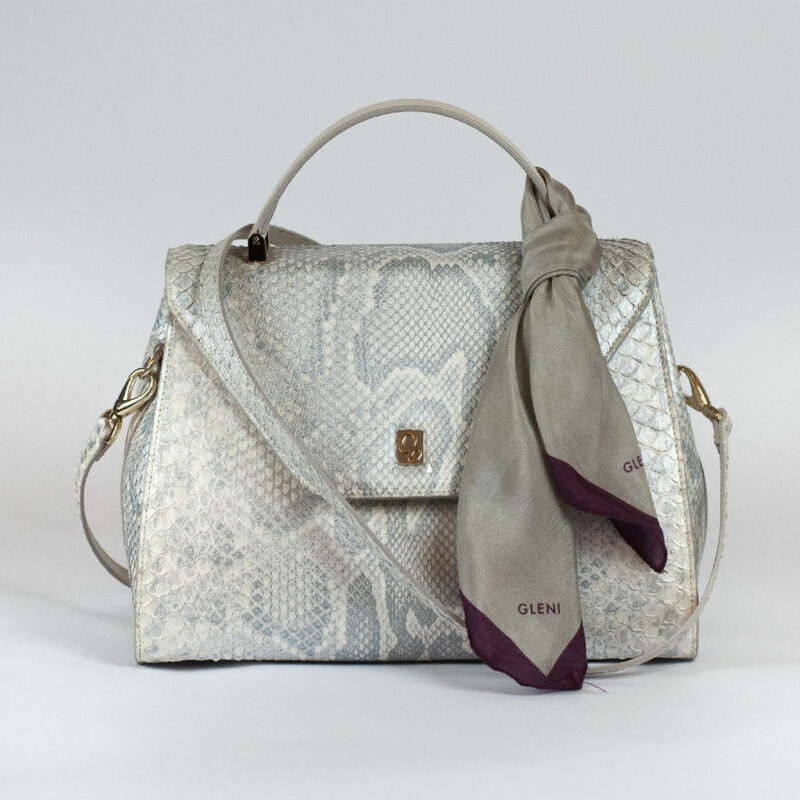 First, it must be established if the bag in question was made with genuine exotic leather (such as crocodile, alligator, python) or just genuine leather (calfskin for example) but imprinted. As you can imagine, the difference in value is substantially great. This entry was posted in 10 things you should know before purchasing an exotic leather handbag on 03/21/2017 by Gleni. 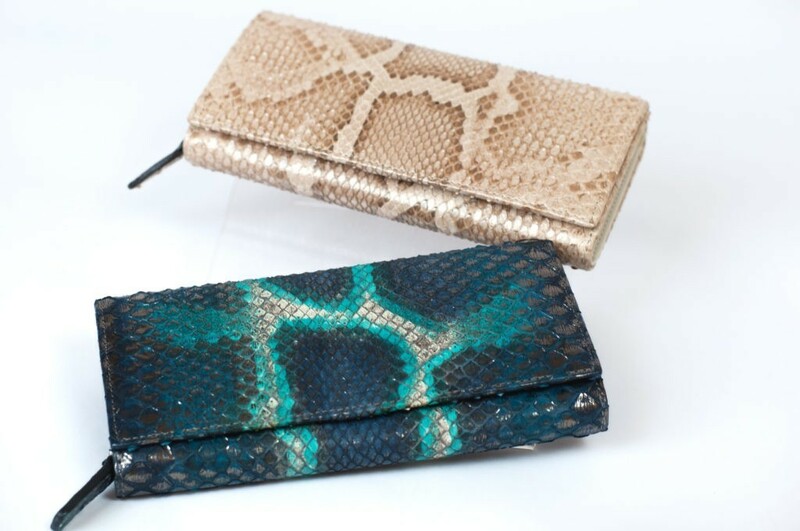 For Spring 2017 we would like to offer these amazing wallets, made in genuine Molurus Python, strictly following Cites laws. 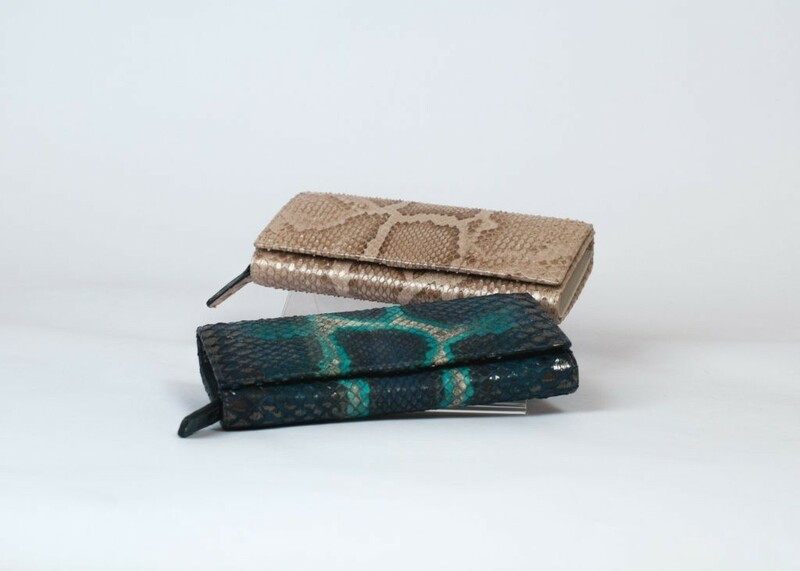 Woman python wallet made in genuine Python Molurus leather, following Cites laws. The wallets are model ACC/4, one of the most requested by our customers and, above all the biggest one. If you want to know more about it, read our blog post about women wallets. Only the blue one is available for sale! Hurry up: every item is unique and once sold, is it not possible to reproduce it! Come to visit us in San Benedetto del Tronto, 43 Risorgimento street, to earn the item at a special price! As previously announced by the color of the year 2017, Greenery, this spring will be defined by colors originating from the world of nature. Like Greenery, this palette is strongly inspired by nature and unequivocally evokes positive feelings of change and rebirth. 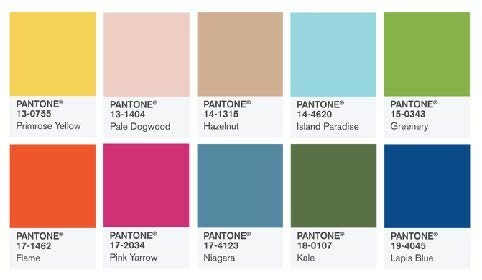 It is composed of shades that combine a mix of vitality, relaxation and desire for a deep connection with the nature surrounding us. This entry was posted in Fashion Trends on 02/07/2017 by Gleni.